Complaining aside: it’s time to start gearing up for the school year. For returning Harvard students, that doesn’t mean much besides tacking on a few hours at your summer job so you’re ready to purchase ridiculously expensive textbooks come September. But for incoming freshmen, it means that it’s time to get into the Harvard mindset. Luckily for you, Flyby has you covered. Take heed, all ye Freshmen. This is some of the most valuable information you’ll learn all year. The Harvard COOP is notorious for trapping incoming freshmen by showing off the super-shiny, super-cool book selection. But no matter how nice that “Principles of Economics” textbook may look, it’s not worth it’s going price. Surf around on Amazon, Ebay, and Chegg to see if you can find your textbooks used. Also, Harvard has a bunch of different Facebook pages for students looking to purchase used textbooks, so keep an eye out for that. And no, I’m not saying this because I am worried about your social life. Harvard is full of diverse, intelligent, interesting individuals, and the value of an education at the school is learning from your peers as well as your professors. The best way to do that is to engage in mealtime conversations with them. That kid who you spar with over the latest political development might just open your eyes to a side of the world you don’t understand yet—or at least teach you the value of keeping a good poker face. We know Harvard professors can seem daunting because they are literally some of the most intellectual beings on the planet. But at the end of the day, they are educators: they want to see you succeed in your classes. So no matter how tempting that mid afternoon nap may be, head over to your professor’s office instead of back to your dorm. 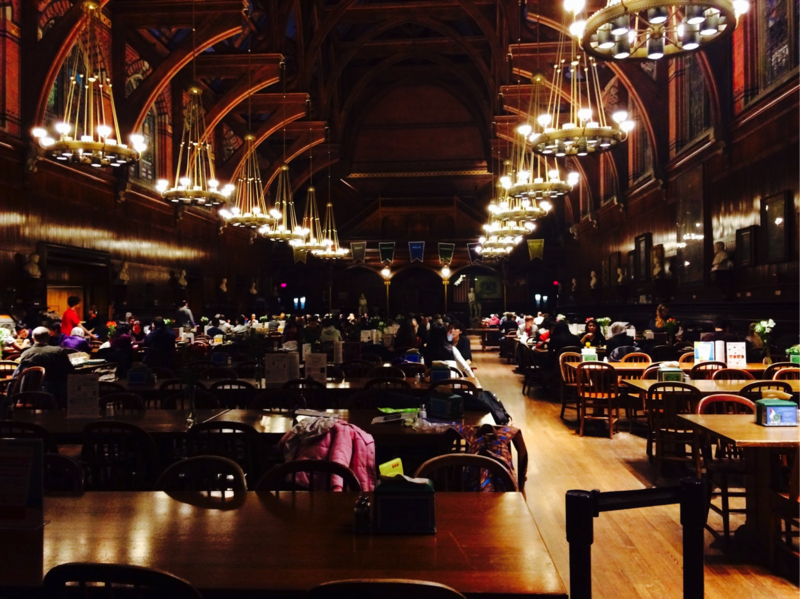 As an incoming freshman, Harvard seems like the coolest place ever and you will want to post photos of everything. How else are you supposed to let your high school friends know how fancy Harvard is! Our suggestion? Posting a photo of you and your friends overlooking Harry Potter-esque Annenberg Hall or sledding down the steps of Widener during a snowstorm is great, but use some restraint and good judgment. You don’t want to have to explain to your future employer why you appear to be, shall we say, “taking a nap” at Tasty Burger after Freshman Formal. Too many Harvard students pile in the library on the weekend to tackle the workload they’ve allowed to build up over the course of the week. Instead of sacrificing those sacred weekend hours, we suggest you find some ways to become a very efficient worker during the school week, and spend your weekend turning up as much as possible. You’ll thank us later. Who cares about dumbbells when you could be snacking on Taco Bell instead? Years down the line you’ll wish that you had chosen a few more reps in your house gym rather than the extra platter of nachos at Felipe’s. You’re in your prime, kid. Exercise now and you won’t have to worry about a potbelly later. Plus, studies show that reading the Crimson increases your desirability to potential spouses. It’s like pheromones, except you’ll smell like paper and ink instead of whatever earthy scent attracts people to you. We’re kidding, by the way. Try not to be so gullible.